Welcome to the sunny Vaasa! Just outside bustling Vaasa is the paradise island of Vaskiluoto. On this island, in the middle of the sun-drenched archipelago, is Tropiclandia Spa and Top Camping Vaasa. 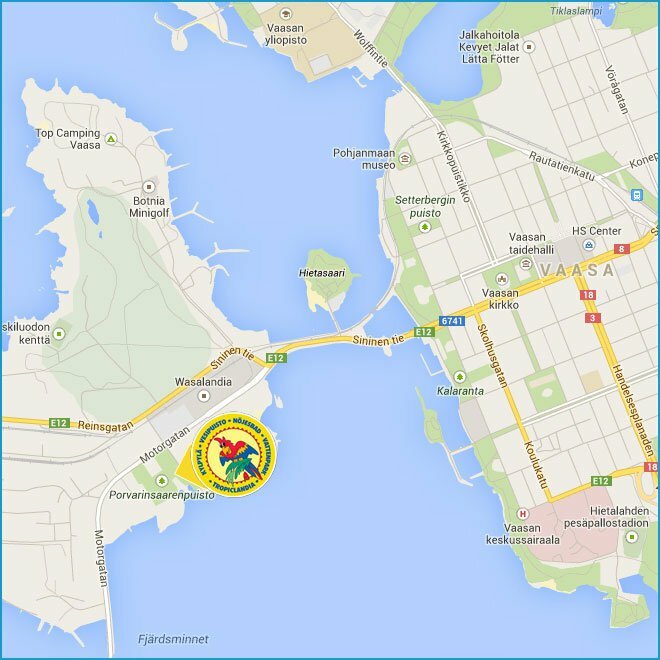 It is easy to find Tropiclandia and Top Camping Vaasa – about 2 km towards Vaskiluoto from downtown Vaasa. Just follow the signs along main roads. Tropiclandia has a big parking area right outside the Spa.